Another of Mortimer Menpes' delightful sketches, made during his visit to Japan, in 1887. As in much of his early work, Menpes clearly owes a debt to the small panel paintings by James McNeill Whistler. The two had met in 1880, at the Fine Art Society. Shortly afterwards, Menpes became Whistler's pupil and the close relationship lasted until 1887. Working together on paintings and etchings, Menpes learned to produce images which were composed with great delicacy and to treat colour harmoniously. 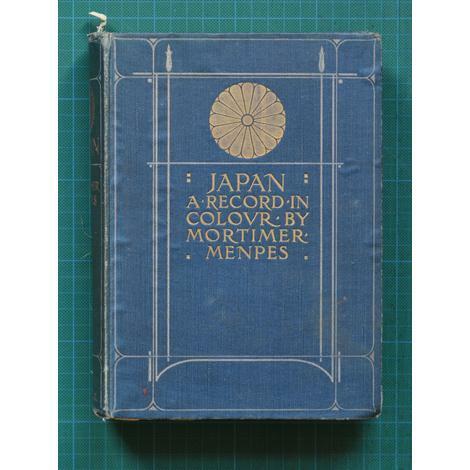 This sketch was worked up into a finished painting, Wistaria, and illustrated in Menpes' Japan, a Record in Colour, 1901 (facing page 118, shown here for reference). 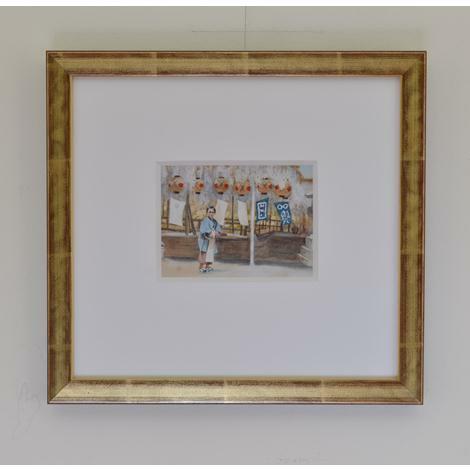 The reproduction is more intensely coloured than the tiny watercolour. 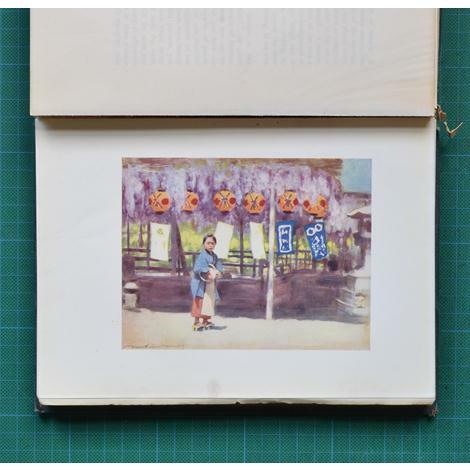 The latter may have faded a little; but it is also more direct and expressive - an immediate reflection of Menpes' enthusiastic response to Japanese life, people and their daily lives.